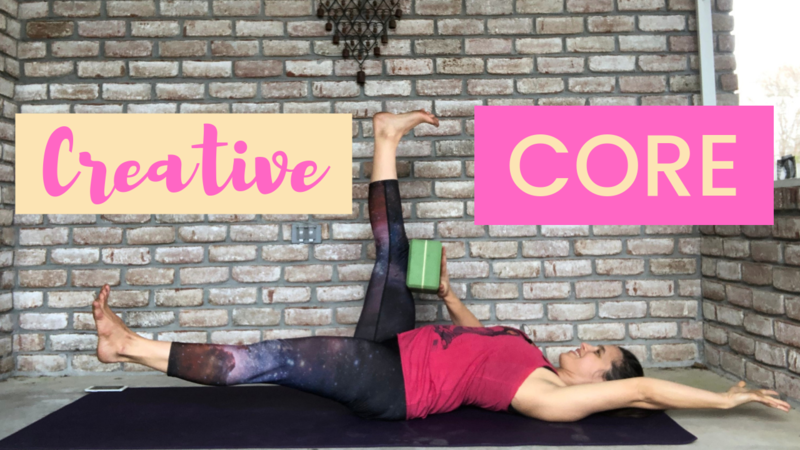 If you’re bored of doing endless crunches and tired of navasana as the only core-targeted pose in a yoga class, you’ll enjoy these creative core exercises. No planks here either, so these creative core exercises target your core without any weight bearing in your hands. In this quick yoga practice, you’ll use a block to help you create resistance between your hand and your leg. This will help you access your core muscles more easily and effectively. You’ll learn the basic action on your back. Then you’ll get to play with it standing up, so you can work your core in different situations. And if you really love this practice, you’ll love my Yoga for a Healthy Core Video Series. 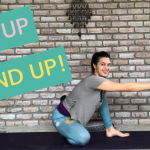 I’ll lead you through 5 weeks of core strengthening and stabilizing practices that will help you feel stronger and more supported from your center.